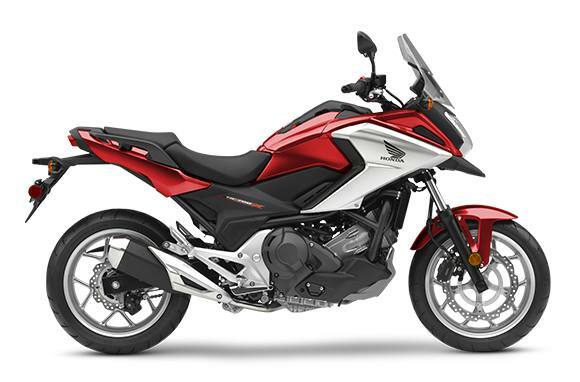 670cc of Liquid-Cooled Possibilities: The NC700X’s 670cc liquid-cooled parallel-twin engine produces enough torque and enough power to guzzle up adventure. But it can sip, too—the standard transmission version has an estimated fuel economy of 64 MPG**. 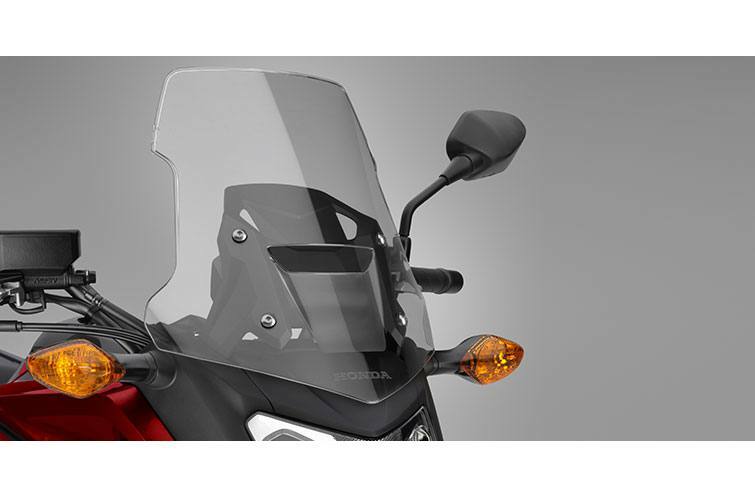 Take in the View: The NC700X has a large windscreen that makes the cockpit comfortable over a wide range of speeds. And in the upright seating position you have a great view in traffic, making this bike even more appealing. 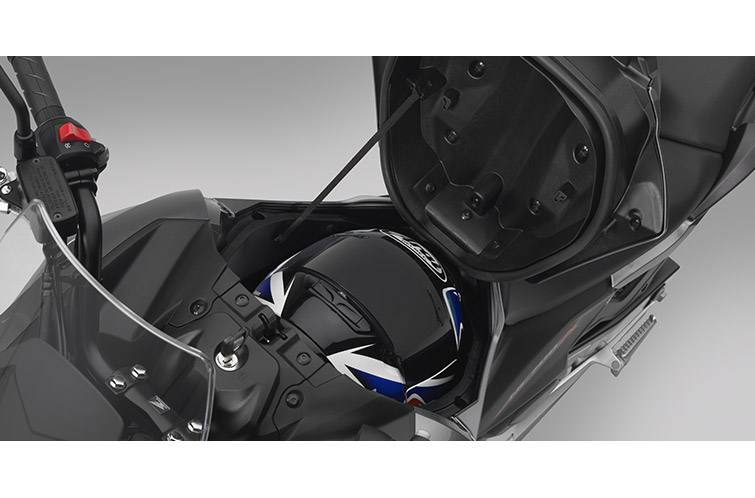 Integrated Storage Compartment: The NC700X offers an integrated storage compartment holding a full 22 liters. It features a storage hook and a utility rail, because we all ride with more than just a cell phone and a credit card. 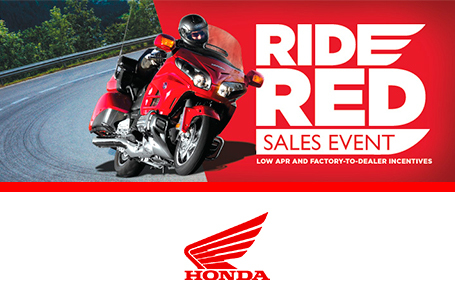 Automatic Dual-Clutch Transmission (DCT): Honda’s revolutionary Automatic DCT transmission is changing the way people ride. It’s smooth, smart and the clear choice for a machine like this. Want to shift it yourself? The handlebar-mounted paddle-style buttons put you in control. It’s the best of both worlds. 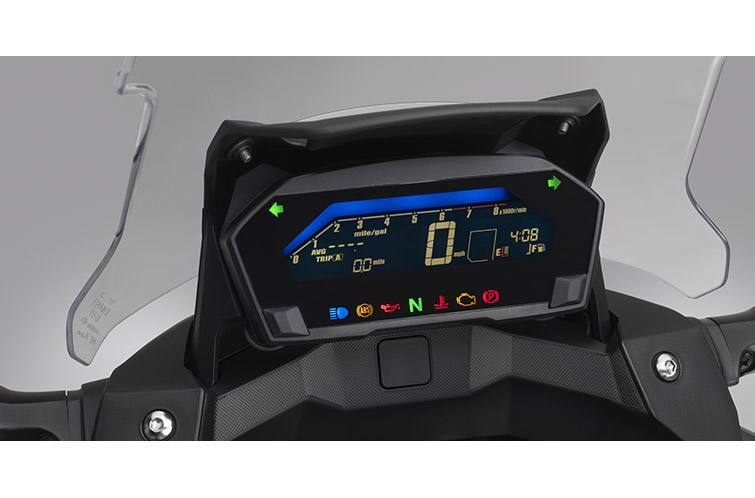 Optional Automatic Dual-Clutch Transmission (DCT): Shift with the push of a button, or select the NC700X's automatic mode and the bike will shift itself and offers three modes in the “S” setting, depending on the kind of performance you want. DCT has been a huge hit on our other models, and once you ride an NC700X with DCT, you'll see why. Under-Seat 3.7-Gallon Fuel Tank: The under-seat 3.7-gallon fuel tank centralizes mass and enhances overall handling. Locating the fuel tank and filler underneath the passenger seat allows for innovative centralized storage where the fuel tank is normally placed.